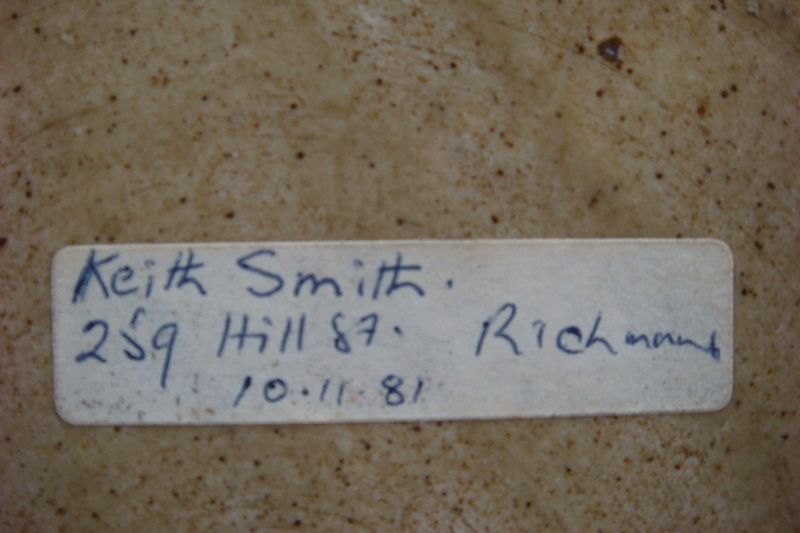 Does anyone know Keith Smith? Does anyone know him or where he is from? Hi .. 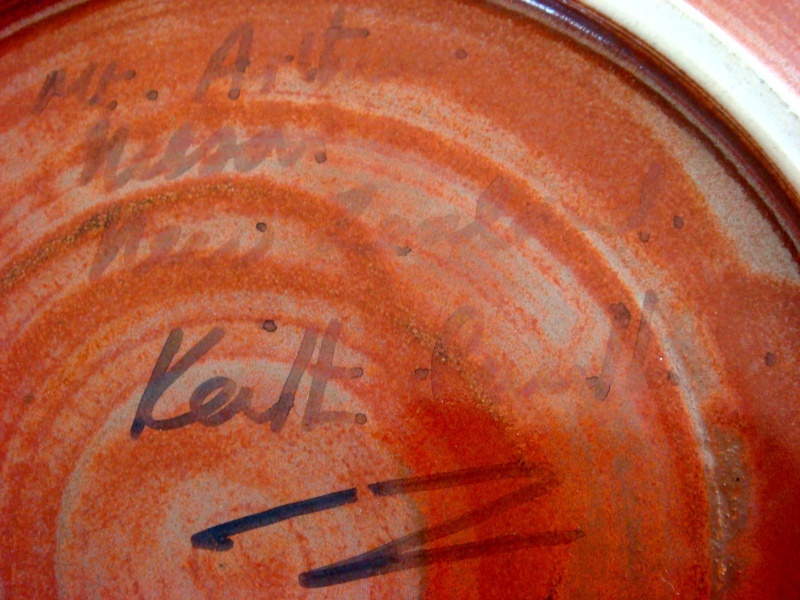 I was a member of Craft Potters (Nelson) Inc for many years and Keith Smith was (is?) 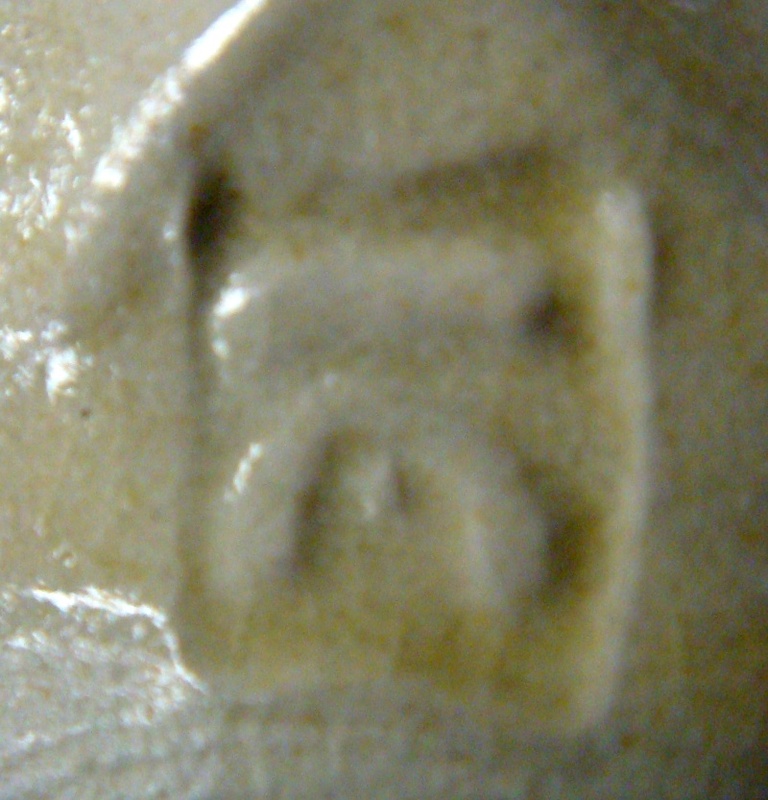 a member. 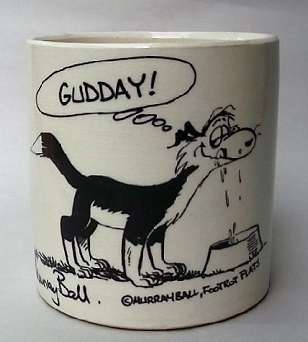 He is a talented water colour artist also which may account for the lovely decoration on your large charger. I haven't seen him for quite some time, but you may find him in the Nelson phone book .. (last known living in Richmond). Hope that helps. Thank you so much for that information, and welcome to the site! I will try to contact him. 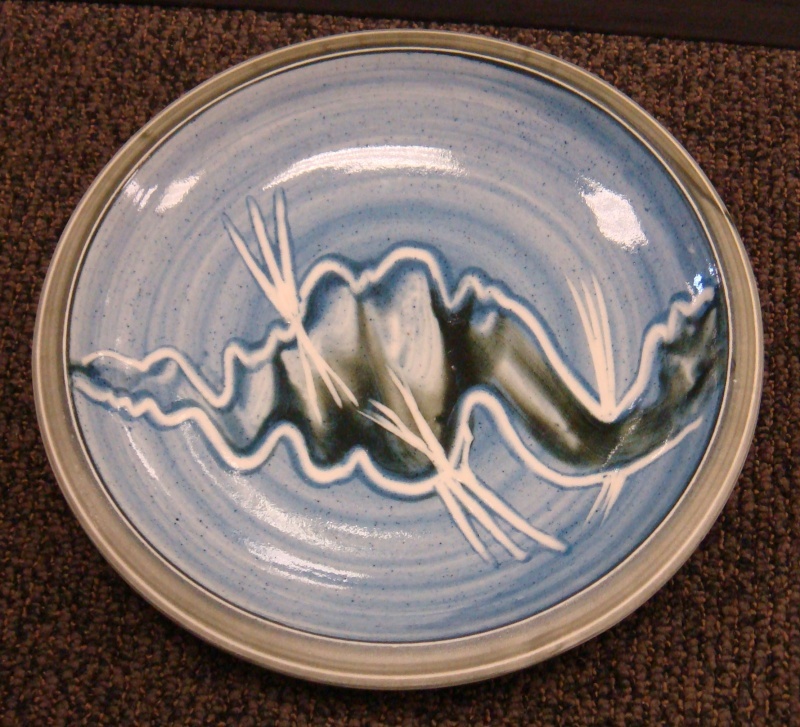 Wow, that is a fantastic charger, what gorgeous glaze-work! 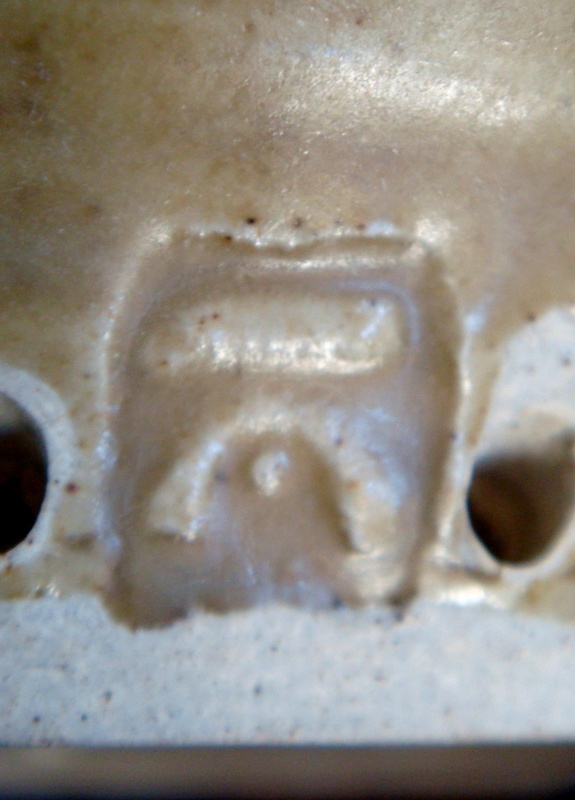 I saw this mark again last week on another jug, but this time under the handle, and it was this way up. I saw that listing too. 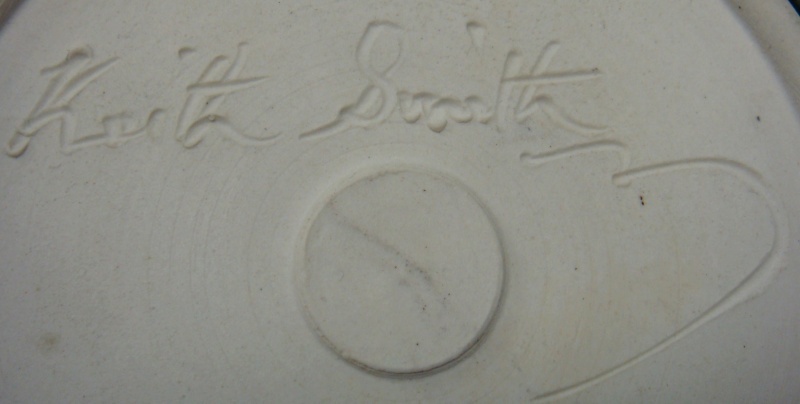 I am convinced that this is a Nelson potter, as I see pieces with the mark regularly, but I have yet to find the maker. I was wondering if it was and I or L E.
I have solved these two mysteries ! 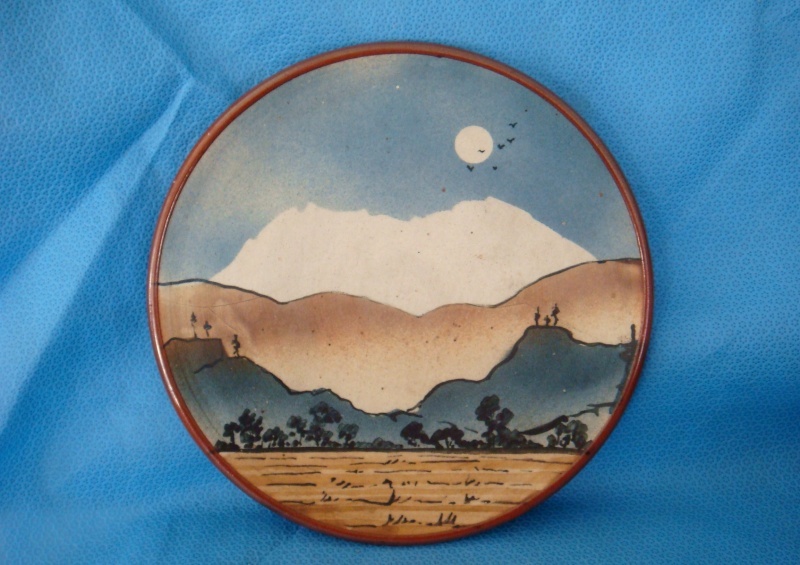 I was lucky enough to find another pottery piece yesterday, a wall hanging plate, with the same mark as the jug above, which I left there as it was rather expensive. However, it had this paper label on it, so I got out the phone book, and, as there were none in Hill Street, I decided to ring all the K's. I found Keith, still in Richmond. 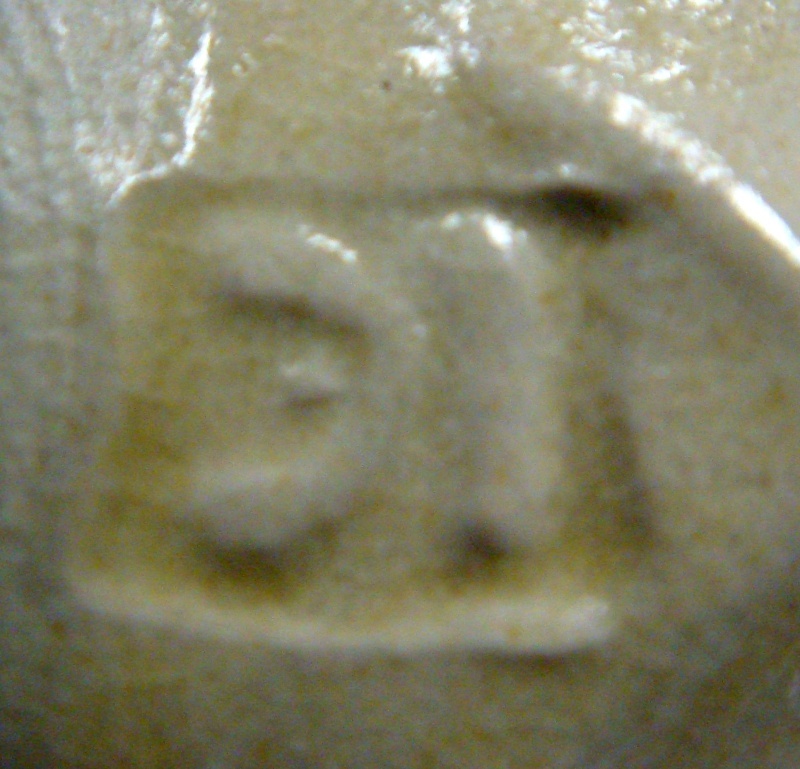 He confirmed that this is his mark, and that he is no longer potting. 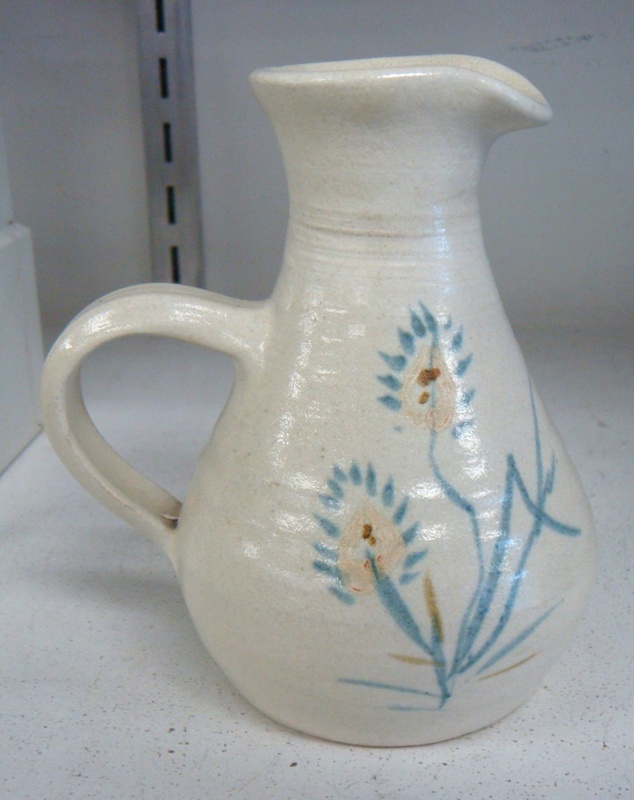 He sounded of a good age (80's maybe) but said that he still sees the odd piece of his work in the op shops. I didn't dare ask if he purchased them or not. 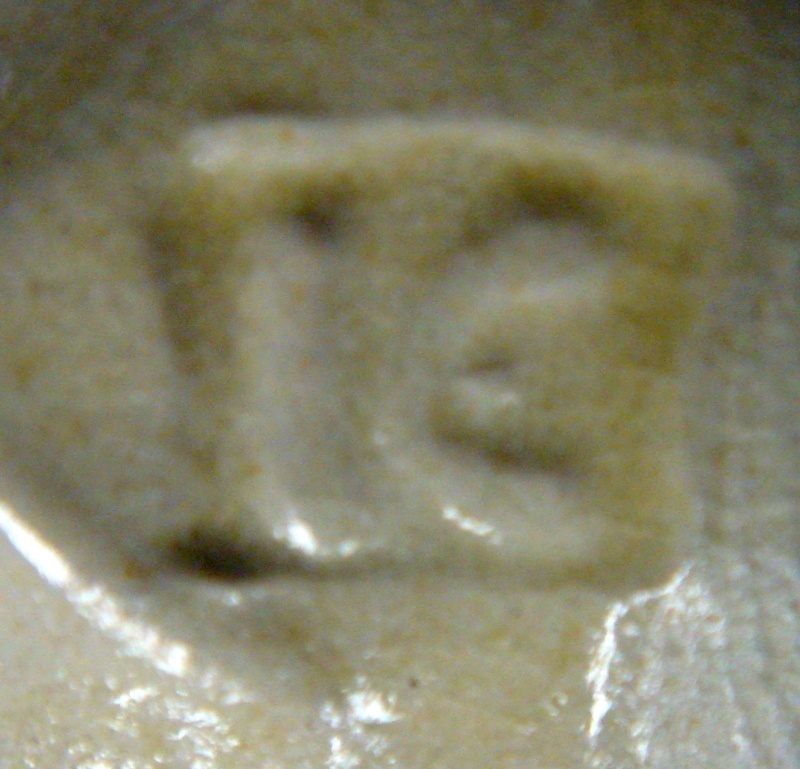 The mark is his impression of a K, side on he said, so I know we have it up the right way.